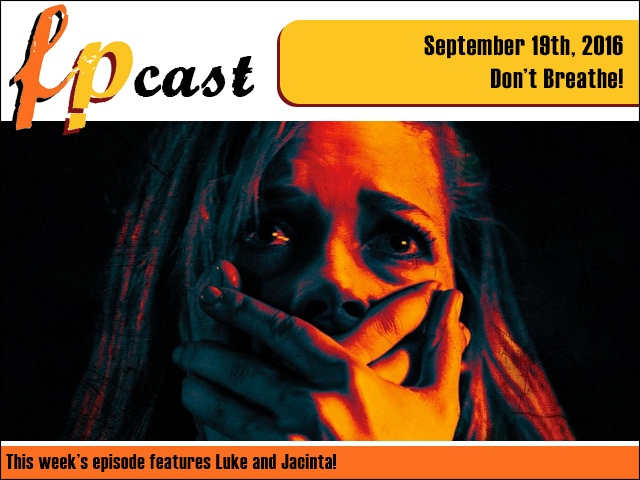 FPcast for September 19th 2016: Don't Breathe! This week we watch a blind man beat the crap out of teens as we review Don't Breathe! Plus we talk Central Intelligence, that new 50 Shades trailer, catch up on the Wortho/Bingos, and review an actual real book called The Girl With All the Gifts. Listen and you'll be the girl with all the gifts! Good for you! Check out Girl With all the Gifts here.